You're in a bar. You notice a male/female across the way that you like the look at. You go for the wink. 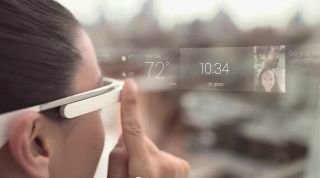 Whoops - you forgot you were wearing your Google Glass and you just took a picture. Now you look like a weirdo. That's just one possible scenario that could take place with Winky, the Google Glass app that will let wearers snap a picture with just the wink of the eye - no need for any "Ok Glass, take a picture". We already knew that Glass might support the winking-photo feature due to some discovered code, but Google Glass developer Mike DiGiovanni has actually gone and built it. However, it won't go off every time you blink; the app is designed to detect the difference between a normal blink and a more intense winking gesture. DiGiovanni also released the app source code which can be found here. Why not have a peek at some of our other blips while you're here.